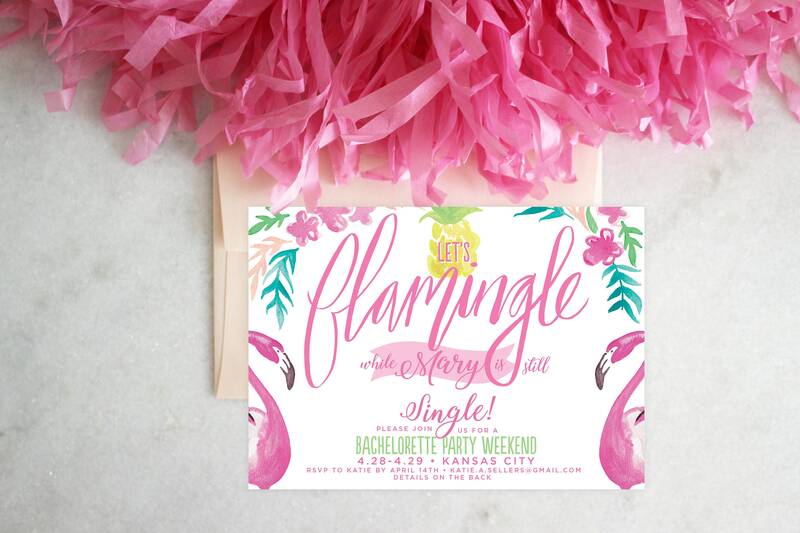 Let's Flamingle while the bride is still single! This flirty & tropical delight is the perfect customizable invite! The backside includes an optional itinerary for all your scheduling needs. 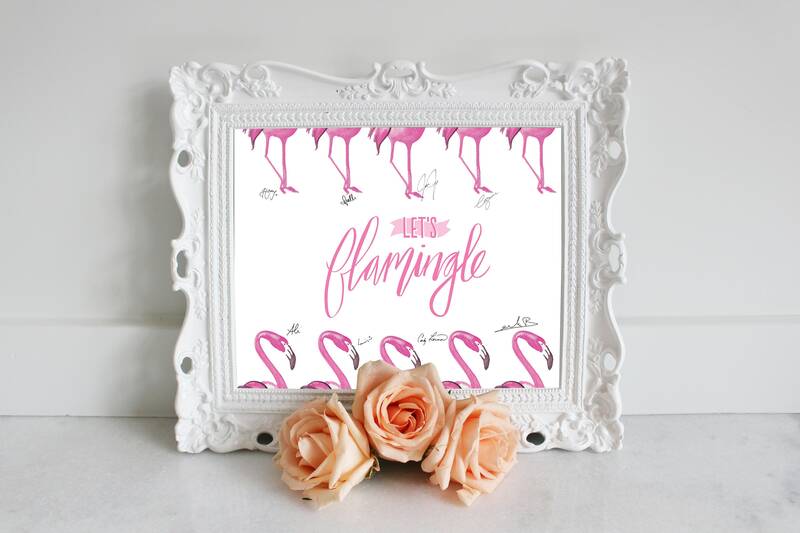 Don't forget your 'Flamingle' print for your day-of decor! *The print doesn't include signatures.